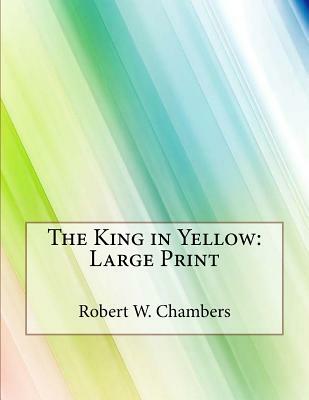 With its strange, imaginative blend of horror, science fiction, romance and lyrical prose, Robert W. Chambers' The King in Yellow is a classic masterpiece of weird fiction. This series of vaguely connected stories is linked by the presence of a monstrous and suppressed book which brings fright, madness and spectral tragedy to all those who read it. An air of futility and doom pervade these pages like a sweet insidious poison. Dare you read it? This collection has been called the most important book in Amercian supernatural fiction between Poe and the moderns. H.P. Lovecraft, creator of the famed Cthulu Mythos, whose own fiction was greatly influenced by this book stated that The King in Yellow 'achieves notable heights of cosmic fear.' The stories inspired production of the HBO TV series True Detective.